Every good things come to an end. 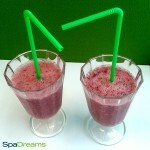 Our last Detox Smoothie is from our SpaDreams colleagues from the Netherlands and it’s called “The SunDream“. 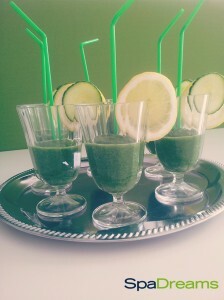 It’s green, delicous and tastes like summer & sun! 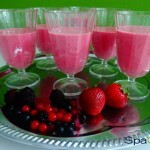 The Smoothie is full of vitamin C, iron, calcium and vitamin B-6. 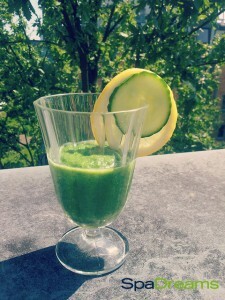 with banana, cucumber, spinach, ginger and apple. 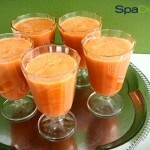 So it is a real healthy Detox Booster and the perfect refreshing Sun, Summer & Beach drink! Cut out the apple-core and peel the banana. Now cut everything into small pieces and put it together into the blender. You can add almond milk if it’s too thick. 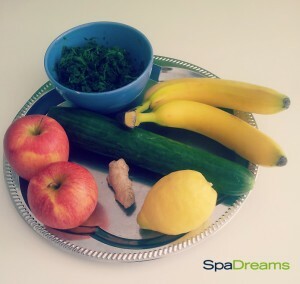 Now enjoy your SunDream and go on detox yourself! 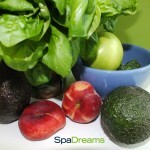 Feel free to write us your own favourite Detox Smoothie recipe. We will test it and publish it for you!